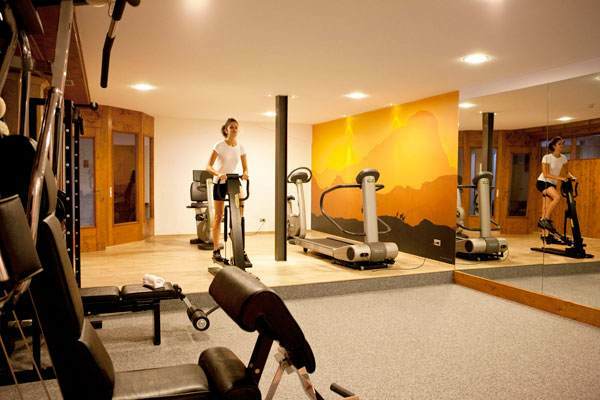 4-star hotel and resort Parkhotel Ladinia stands out among hotels in San Vito di Cadore and Cortina for its complete range of wellness services. Its gorgeous indoor pool with whirlpool features looks out onto the Dolomites through full-size glass panels, beyond which there is a large private park with lawn chairs for guests to relax on and take in the sun. 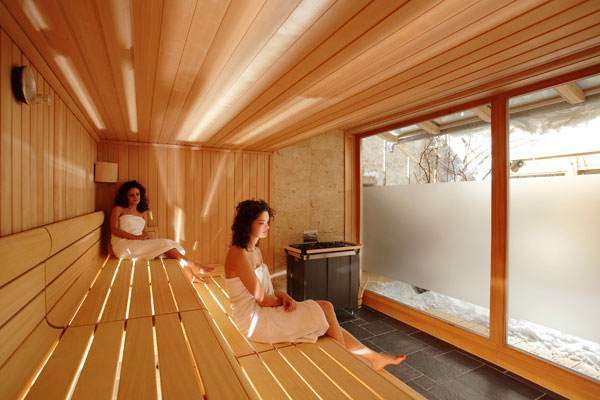 Recently the spa underwent complete renovations, including the addition of a spectacular outdoor sauna with a glass wall, a bio-sauna, an infrared ray sauna, a steam bath with color therapy, an ice waterfall as well as a beautiful relaxation room with hanging sunbeds. Our hotel features contemporary design where no detail has been overlooked, using local lumber, natural stone, leather and loads of glass to brighten the interiors. Wellness services include an exclusive waterbed for body treatments and hay baths, 2 communicating rooms for simultaneous massages and beauty treatments. Essential oil whirlpools, tanning bed and Technogym equipment contribute to a vacation centered on wellness and relaxation. 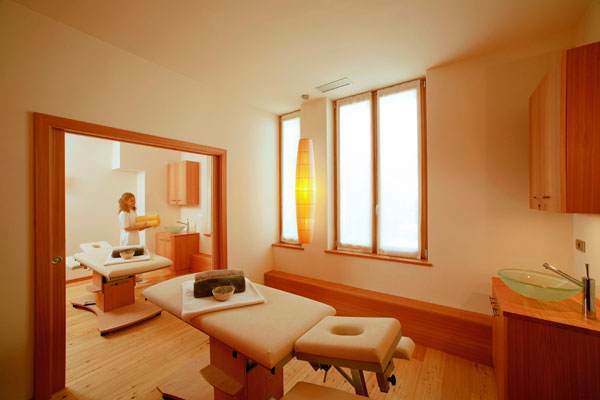 The Spa can easily be reached by elevator from both the guest rooms and the apartments.